Please read the following terms and conditions carefully. This Agreement sets forth the terms of sale for all merchandise purchased by you (Buyer) from INSIDE STORES LLC (Seller). Orders for fabric and home accessories are charged when order is shipped. Payment may be made by credit card, cash, personal check or money order. Accepted credit cards include: Paypal, Google Check Out, VISA, MasterCard, American Express and Discover. Orders requiring multiple shipments will be charged the prorated balance for each separate delivery. Seller does not accept any orders on COD terms. Seller is required by California law to collect sales tax on all orders delivered to destinations within California. Other states and jurisdictions may impose separate sales and use taxes; however, Seller is not required to collect taxes for any other jurisdiction. Buyer is responsible for checking local laws to determine if they are subject to any additional sales and use taxes or duties. Al orders are subject to Seller’s acceptance and standard audit procedures. Errors in arithmetic and pricing are subject to correction. In the event Buyer does not approve a correction, Seller reserves the right to cancel the order and refund Buyer’s deposit. Seller does not ship orders “on approval” by Buyer. Buyer is solely responsible prior to the placement of any order to determine that the colors, patterns, fabrics, design, dimensions and characteristics of all items are as desired. Due to the fact that computer monitors exhibit wide color variances, Seller is not responsible for the color representation of any photograph viewed over the Internet. Seller will provide an estimated delivery date at time of order acceptance. Most orders are delivered within 24 to 48 hours after order acceptance. This is only an estimate. Seller is unable to guarantee delivery times and cannot be held responsible for delays or changes to this schedule. Seller will notify Buyer when the merchandise is ready to ship and make arrangements to put Buyer in contact with the delivery service. Title to all merchandise passes to Buyer at the time the merchandise is consigned to the delivery service. Seller shall insure all goods and assist Buyer in making claims or obtaining repairs in the event any items are damaged during shipment. If Buyer misses a delivery appointment, Buyer may be subject to an additional redelivery fee imposed by the delivery service. Buyer must inspect each item immediately upon delivery. All damage, scratches, chips, tears or soil must be noted on the Bill of Lading and reported to Seller within 72 hours. Seller is not responsible for damage not noted on the Bill of Lading. For any items with substantial damage, Buyer is instructed to refuse delivery. Seller shall honor the terms of the warranty provided by the manufacturer to the original Buyer for a period of one year from the date of factory shipment. Seller shall assist Buyer, when possible, in making any warranty repair claims. Defects caused by abuse, negligence or damage from moving are not covered. This warranty provides you with legal rights, and you may have other rights which vary from state to state. Seller is not responsible for color and grain variations in wood, leather, stone, marble, granite and other natural products. Certain inconsistencies should be expected and add to the character of the merchandise. Glass, mirrors, Lucite and metal finishes may be subject to small seeds, pits or very slight discolorations. Seller is also not responsible for dye lot variations and cannot guarantee exact matches between similar items. Seller is not responsible for warranty claims denied by the manufacturer. 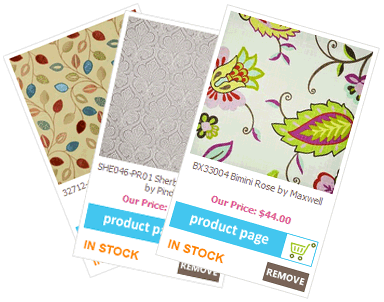 All fabric and wallpaper orders are custom-ordered and are not returnable. We will accept returns due to manufacturer defect or shipping damage. All damage claims must be made within 30 days after receipt. We will not accept any claims made after this period. All returns require a return authorization from seller. NO returns will be accepted if cutting or alteration has been made to the merchandise or if wallpaper has been hung -- please inspect before using. Please order accurately as all sales are final and Inside Stores will not accept returns for overage. 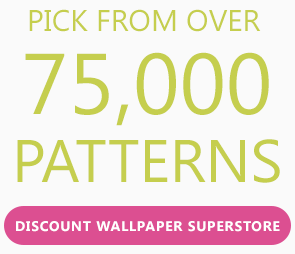 It is best to contact a professional wallpaper installer before submitting order. All refunds and credits authorized by Seller will be promptly processed and issued within two weeks. In the event Buyer is required to return merchandise, Seller will not process the credit until the merchandise is received and inspected. Payments originally made by credit card shall be refunded by issuing a credit to the same card. This Agreement shall be governed by the laws of the State of California, and Buyer and Seller agree that the jurisdiction for all claims resulting from this Agreement shall be the County of Los Angeles, California. The prevailing party shall be entitled to reasonable attorneys fees.